Startup communities across the globe look to Silicon Valley as their model for how to build high performance entrepreneurial ecosystems. However, attempting to copy the Silicon Valley model will almost certainly ensure their failure. In their zest to apply the secret sauce, they overlook the importance of the unique population and culture of Northern California, caused by an outlier event in history that is impossible to fully duplicate. Before 1849, Ramaytush, Awaswas and Tamyenand natives, as well as, some cattle ranchers inhabited the area that was later to be known as Silicon Valley. 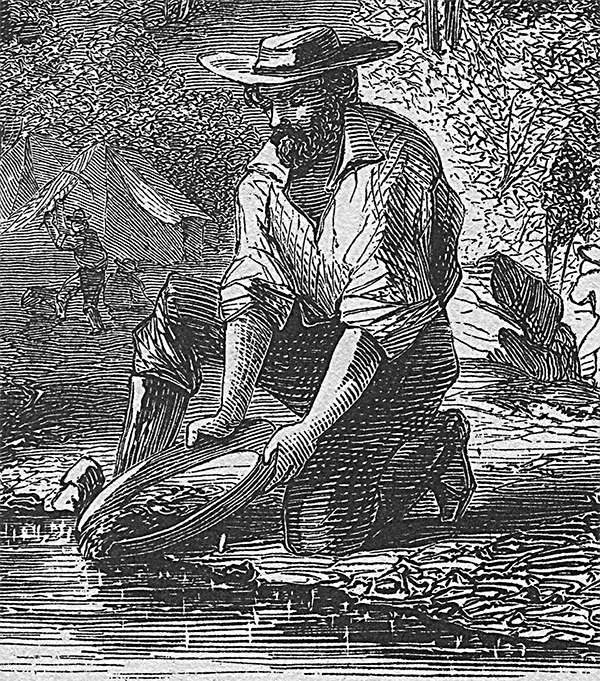 The discovery of gold in Northern California in early 1848, then ignited the Gold Rush and, as news of the discovery spread, thousands of adventurers traveled to the area from as far away as Europe, Russia, Argentina and China. By the end of 1849, the population of Northern California had exploded from less than one thousand before 1848, to over one hundred thousand inhabitants. A population vacuum had been filled with people full of a unique entrepreneurial spirit that also included the seven deadly sins. Since then, the population has kept growing exponentially, with newcomers assimilating into this early gold digger's culture and this is the foundational matrix, if you will, of Silicon Valley's success. If the Silicon Valley model is a unique occurrence and cannot be cloned, then how can new entrepreneurial hubs build their own unique ecosystems? The answer may be in leveraging what already makes their location so special. Scandinavia, for example, is inhabited by descendants of the Vikings and has their own unique Nordic Model. Thousands of years of traveling and trading across the world has created independent, risk willing, adventure seeking, down to earth individuals who are unusually adaptive to workable new ideas. Although Vikings are natural entrepreneurs, their dreams are still not as big and imaginative as those in Silicon Valley, resulting in a plethora of small and medium size companies, with fewer giants. Dominated by The City of Angels, Southern California is very different from Northern California. The area received its first wind with the movie industry in the beginning of the twentieth century and then became a high tech aviation hub during World War II. After the war, the community transformed from desert and orange orchards into a sprawling metropolis, with entertainment, defense, aviation, aeronautic and oil industries. This makes the city an excellent choice as a high quality technology and content provider with Santa Monica, Venice Beach and Pasadena also gaining momentum as startup hubs. South Korea has a unique and more recent history and, within approximately sixty years time, has experienced the "Miracle on the Han River", moving from the poorest country in the world to an industrial powerhouse that is now a member of the G20. The country has been investing heavily in education and with the recent technology competition from China and a slowdown in growth; the government has turned to design and entrepreneurship as a vehicle to fuel progress. What is distinctive for the South Korean culture is the government's resolve to make a heavy investment in change and to see it through supported by the business sector and their populations hard work and determination. Other cultures have their own special indigenous soil that may provide them with a competitive advantage when it comes to building startup ecosystems and we will continue to stay on the lookout for surprising initiatives from some of the more unexpected corners of the world.